Whether you want a spacious motel room or a cozy Bed & Breakfast, there are plenty of options in Provincetown MA. Family owned and operated, The Seaglass Inn & Spa offers families and couples a peaceful retreat nestled in the hills of Provincetown. The combination of The Seaglass Inn & Spa’s amenities, family-friendly ambiance and location provide a welcome alternative to the large harbor front hotels and bustling beachfront. 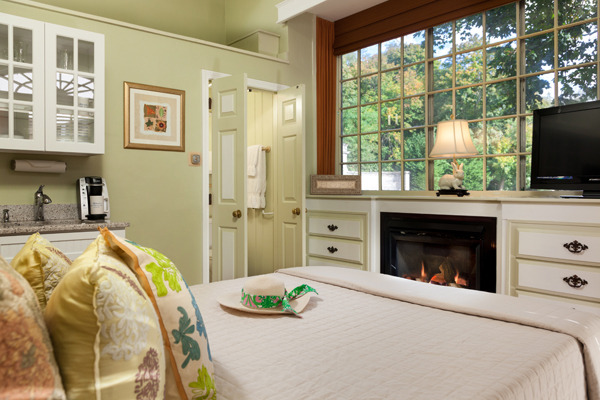 At the hotel, guests can experience a true escape in the heart of Cape Cod. 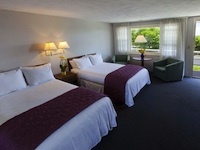 Provincetown's premier complex - offering lodging, dining, and entertainment -- 5 bars, a restaurant and heated pool. 18 guest rooms; many with water views. Center of town and central to all of the women's events action. 15% off on a two-night stay though Wednesday. 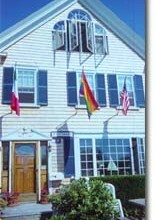 The Provincetown Hotel at Gabriel’s is set in the heart Provincetown next to the Pilgrim Memorial Park. Our spacious rooms and apartments suites offer luxurious touches including Jacuzzi tubs, cozy fireplaces, private balconies, wet bars or full kitchens. Enjoy relaxing in our gorgeous garden courtyard and wake up to our made to order breakfasts each morning. We are also family and pet friendly! ONE ROOM LEFT FOR GIRL SPLASH! SOLD OUT FOR GIRL SPLASH! 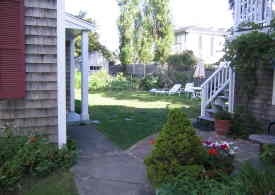 A “Provincetown Classic” and women’s guest house offering rooms, apartments, and a cottage. Enjoy the unhurried atmosphere of a rambling Cape house. Tucked down a private drive. Decks, gardens, parking, and a yard. 210 Bradford Street - ONE ROOM LEFT FOR GIRL SPLASH! Welcome to Roux, a beautifully restored Victorian property located in the East End Gallery District – an easy walk to everything Provincetown offers. Features: Private en suite Bathrooms; Individual climate control Air Conditioning/Heat; Full Hot Breakfast and Savory Small Bites Happy Hour with Wine; Coffee/Tea 24/7; Bike Storage; Cable; Fireplace Dining; DVD Library; complimentary Wifi; Non Smoking and Private Off-street Parking. Open year round. Roux may be one of the newest additions to the Provincetown B&B landscape, but she has a history. Rich. Welcoming. Playful. A little chic. A lot of fun. She’s a French girl about to hold a very wonderful party. You can fly into Provincetown via Cape Air through Boston's Logan International Airport. The flight is a spectacular, short, 20 minute hop to Provincetown. It is approximately a 2.5 hour drive from Boston or Providence to Provincetown. Travel times vary with season and time of day. Parking in Provincetown is scarce. All major rental car companies are available at both Boston and Providence Airports. Should you wish to rent a car once you're in Provincetown, Enterprise Rent A Car is available at the local airport. You can get information from their web site at www.enterprise.com. Bus service to Provincetown is also available with the Plymouth and Brockton Bus Lines. Travel time is approximately four hours from Boston. You can take the bus all the way from New York City or Providence to Hyannis, MA and connect to Provincetown, MA. The Plymouth and Brockton bus lines build their schedule around buses connecting from NYC in Hyannis. See their schedule below. Bonanza and Peter Pan also offer service as far as Boston or Hyannis, where you can connect to Provincetown. The ride isn't much longer than the drive and some nonstops exist between the larger cities and Hyannis. The executive LimoLiner runs between Hilton New York Hotel on 6th Ave at 53rd St, New York and the Hilton Boston Back Bay Hotel on Boylston Street, Boston. Fast, 90-minute, passenger ferry service is available from Boston to Provincetown from mid May to mid October. You can book your tickets by phone or online. Both ferries dock at MacMillan Wharf in Provincetown. Tickets are available one-way, round trip, or as a ten-trip pass. Departure times vary depending on the day of travel; check the schedules of the two ferry companies. We strongly suggest booking in advance. Once you arrive at Provincetown's MacMillan Wharf, you'll can walk or take a taxi into town or to your accommodations. The Provincetown Shuttle operates from late May to early October and provides regular service throughout Provincetown starting at 9am daily. The Provincetown Shuttle Service provides reliable and affordable shuttle service throughout Provincetown and the major beaches. Bike racks on buses are also available. It's easy because Provincetown is only three miles long. The summertime shuttle bus only costs $2 and you can flag it down anywhere on Bradford Street or at MacMillian Wharf. Biking is the easiest way to get around Ptown, especially on Commercial Street which is always slow to drive on because of all the pedestrians. It is quite a people watching sight! You can bring your bike on the ferry for 6$ per bike. Bike rentals for various time periods are available in Provincetown. Provincetown Bikes offers a variety bikes to suit your needs. For local taxi service call Junior's Taxi, (508) 487-0265. Should you wish to rent a car once you're in Provincetown, Enterprise Rent A Car is available at the airport. You can get information from their web site at www.enterprise.com. Traffic is a tough after holiday weekends and on Sundays in July and August. Leave in the early morning or late afternoon to avoid back-ups at the bridges. Or better yet, stay an extra night or take the ferry if you can. Route 6, which runs the length of Cape Cod, tends to be busiest on the weekends, and especially at the start and end of the weekend. If you must travel on these peak days, try to go against the flow by leaving early in the morning or late at night. Parking can be tough in Ptown, so it is a good idea to choose lodging where you can park your car. There are both private and public parking options. The town’s main parking lot is located on MacMillan Pier off of Commercial Street. For information about current parking rates in the towns’ lots, call the Provincetown Parking Department at 508.487.7050.